Doesn’t October feel like a long time ago? Here in the UK it does, at any rate. 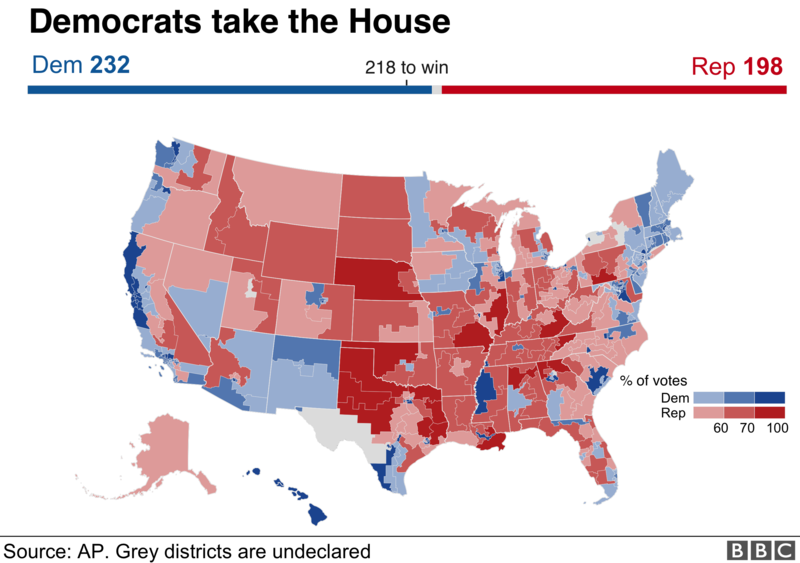 In the USA we saw Trump lose the House (which follows population closely) but gain in the Senate (which follows land/space more closely). He’s here to stay, folks, and he represents a sizeable portion of the USA – like it or not. Likewise in the UK, while the polls have shifted slightly in favour of Remain, despite everything, a sizeable portion of the UK (over 40%) appears to still prefer to Leave the EU, almost whatever happens. We have a messed up political situation, like it or not. In the meantime markets have been rumbling around. At one point mid month I breached my maximum drawdown, and was mentally preparing a blog post about it. But in the end the US markets had a last minute jump up, for no particular reasons, with some of the most bruised stocks from Ouch-tober showing the sharpest gains. As it turns out, my diversified portfolio’s large exposure to the USA has helped me turned in a positive performance this month – though it could easily have gone the other way. Australia deserves a mention. I haven’t been following it closely this month but its currency gained over 3% on the pound, but its equity index lost almost the same value. I assume this is a pure currency move, with overseas investors holding the value of the equity markets stable in USD/etc terms. I haven’t been following Oz closely this month so any additional insights (from @grasmi, perhaps?) would be helpful. UK bonds also took something of a tumble. The ‘index’ I track is the corporate bond benchmark, but in fact my fixed income exposure is now more Treasuries than corporates so I should revisit this soon. In any case, both were hit – my Index Linked Gilt holding was a significant drag on my portfolio. Ignoring currencies, the global markets I’m exposed to rose in total about 0.5% in November, in stark contrast to the UK. Factoring in the currency impact for a GBP-based portfolio, the markets rose about 0.75%. In the end my diversification really helped me, with my invested portfolio climbing about 0.8% in the month – very much in line with the markets I’m in. Thank you, USA equities. Major losers for me in November included UK stocks in the property game. Persimmon, Workspace Group, Taylor Wimpey etc all lost over 15% of their value. Big gainers were some US megacaps. Berkshire, 3M, Pepsi went up 8-10% in GBP terms. Amazon, one of my largest holdings, added over 25bps to my portfolio value last month when it recovered some of its October falls. I’ve been much more proactive than usual in try to rebalance towards my target allocation this month. I have sold a bunch of corporate bonds, including some MIFID-stifled US-listed ETFs. I am chasing a moving target here, but making progress as I do so. I finished November underweight UK equities, and overweight USA and fixed income. That isn’t a bad place to end up. Any month where you finish up always helps feel better, although harder to keep smiling as you try to build up the overall pot – main thing is the longer term and making sure it still keeps ticking up! The last 2 months sum up the weirdness of markets. After a brutal October, my portfolio shot up 4.3% in November – helped by a concentrated equity portfolio and a large US allocation. The move to reduce cash in October and increase equities paid off faster than I had hoped and suddenly find the portfolio up 9% YTD ! In fact am up on the quarter to date which shows it is much harder to experience volatility in real time than it is when you step back and look at markets with the benefit of hindsight ! The market has an “end of cycle” feel. Perhaps not surprising given the length of the expansion. Every year the probability rises that next year will be the last before the recession hits. Recent data has not helped: China is slowing, Europe looks like it missed it’s window to hike and even “US exceptionalism” looks tired. The Fed is suddenly sounding more cautious and cuts are starting to be priced for 2020. I’m not sure it’s quite that bad and it may well blow over in 1Q19. Rght now, however, investors have had a rubbish year (especially after 2017 where everything rallied) and they are very grumpy. I went heavily to cash and alternatives in 2Q18 (partly by design, partly forced by a job change). I did nibble at some equity funds in Nov but those nibbles are already underwater. As one of my South African colleagues said to me: the vulture is a patient bird. This is not the right time to go all in for a risky kill. Better to let another predator waste their energy on the kill and instead swoop down on what’s left of the carcass. Wise words! Hi FvL, great articles, I have been a regular reader and appreciate all the content being shared here. I was wondering if you could help me in giving some advice around which platforms/brokers to use for stock trading? Like your portfolio, I am currently holding currencies in dollar, euro and sterling. Ideally, I would like to be able to trade stocks in all three exchanges from the same platform to make it easier, however, I am already a Charles Schwab customer for the US markets. What is your experience/recommendation for a broker to be able to trade UK and Euro stocks that allows you to hold multiple currencies? As to brokers to try…. In a word, Interactive Brokers (IB). In two words, Interactive Investor (iii). Confusingly similar names but very different services.